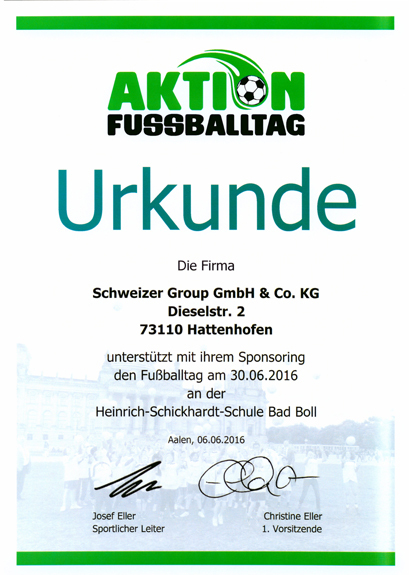 This year the Schweizer Group once again supported the football day at the Heinrich-Schickhardt school in Bad Boll. 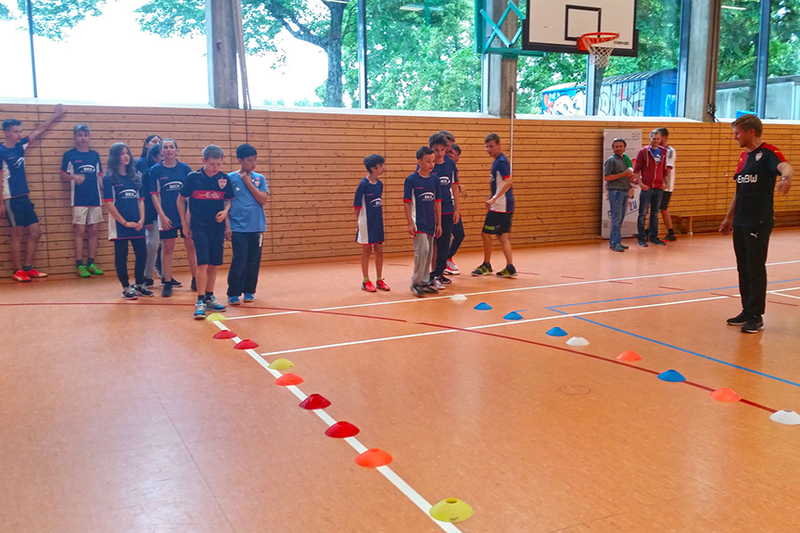 to develop a common understanding and team spirit through sport. 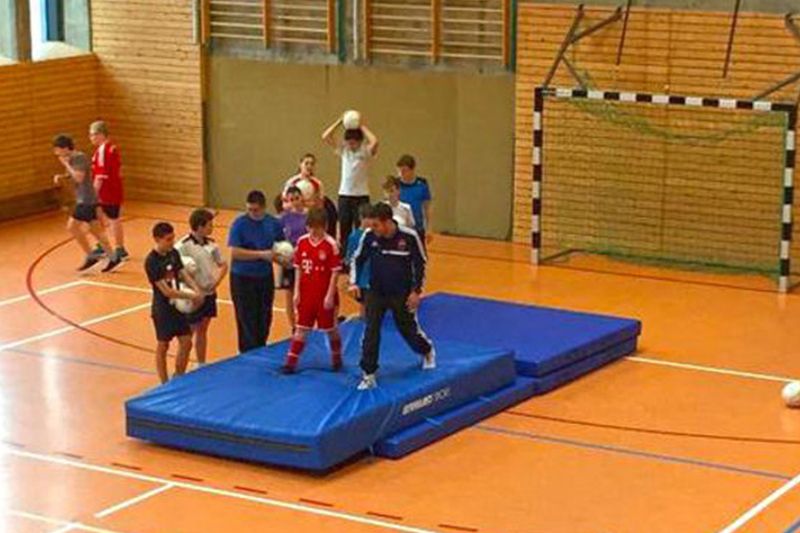 The youth academy coaches at VfB Stuttgart football club, Lenny Schwarz and Saša Janić (ex-professional footballers), offered “the finest football coaching” in Bad Boll”. 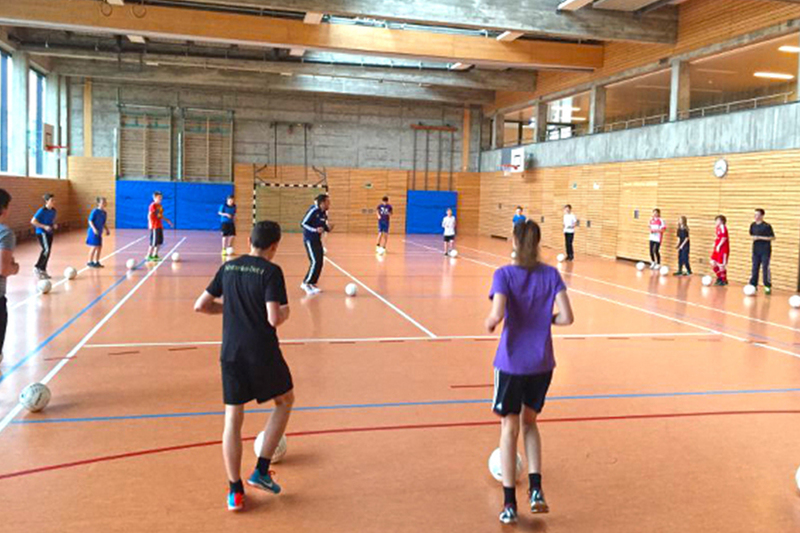 After the warm-up, the kids were coached as if they were in the Bundesliga, the German national football league: short passing games, coordination, shots at goal and much more. The entire Bundesliga coaching gambit was given in an almost playful fashion. The crowning glory was a “Champions League” tournament. The children had great fun. 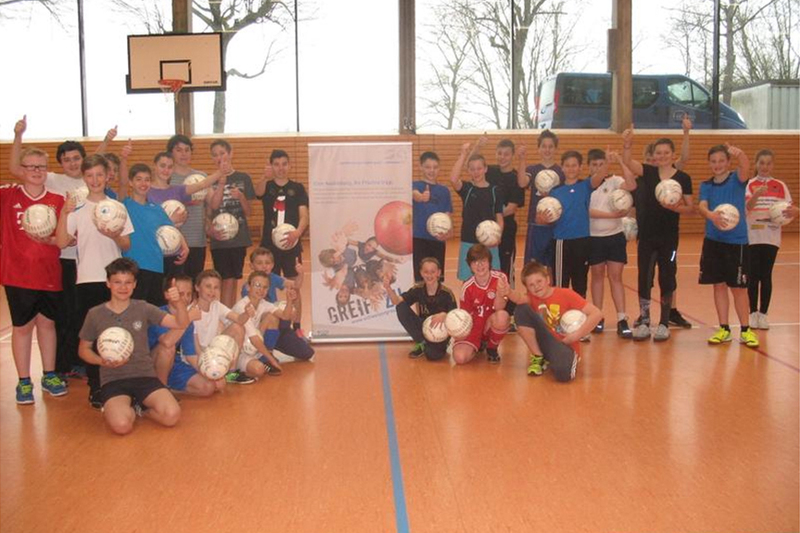 For the fantastic coaching, each participant was given not only a ball, but also a football shirt and a rucksack.